Winship Gives New Meaning to the Big "C"
Winship has been granted Comprehensive Cancer Center status by the National Cancer Institute (NCI), the highest designation given by the NCI. What does that mean? Some 50,000 Georgians are diagnosed with cancer and more than 17,000 die of the disease each year. Winship investigators are working to change that by discovering better ways to prevent cancer, detect it earlier, and treat it. The new comprehensive cancer center designation from the NCI is both a vote of confidence and material support for those efforts. The advances represented by Winship's comprehensive status are already at work. For patients, it means more precise ways of detecting and diagnosing cancer. It means getting a new drug or therapy not available outside of the clinical trial system. It means being treated by a team of people with the expertise and knowledge to use the most advanced therapies and tools effectively. For all Georgians, an NCI-designated comprehensive cancer center means that a critical mass of top cancer researchers from around the world is right here, in their home state, studying the environments, habits, genetics, and health problems of Georgia with the goal of making their lives cancer-free. Winship joins an elite club of NCI-designated comprehensive cancer centers throughout the country. That's good news if you're a patient in Georgia: survival rates are up to 25% higher at these cancer centers. 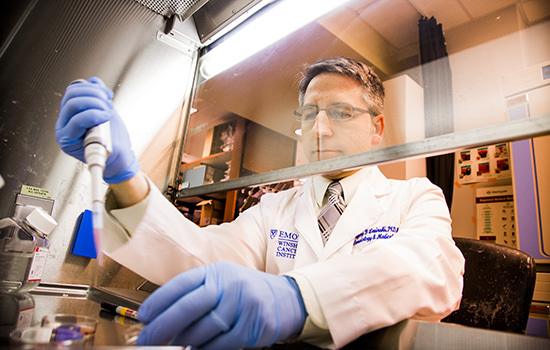 "Winship conducts research that changes the way cancer is prevented, diagnosed, and treated. As recently as 10 years ago, we had limited treatment options for people with advanced cases of lung cancer and melanoma. Today, new therapies help people live longer with those diseases with a good quality of life. Those new treatments came out of Winship and other research cancer centers like Winship," says Walter J. Curran, Jr., executive director of Winship. "We continue to seek better ways to help the citizens of Georgia in their journeys against cancer." The incidence and mortality rates for cancer in the South are high. Georgians in particular have higher rates than the national average of lung, breast, and prostate cancers, and melanoma. Tobacco use and obesity contribute to the statistics, but lifestyle risk factors are not the only reasons for the state's health disparities; there are also biological factors and access to care issues. Why does multiple myeloma occur two to three times more often among African Americans than among Caucasians? How do we bring better prevention and earlier detection to underserved Georgians? Winship researchers tackle cancer from all angles—in its research labs, clinics, classrooms, and in the community—then take the next steps to turn their discoveries into tools that benefit Georgia. It starts in the lab, where Winship scientists get at the root causes of cancer and how cancer cells behave. Why do they multiply uncontrollably, how do they spread, how do they disable the body's natural immune system? Here are a few examples of how Winship researchers are making inroads in this landscape. "We continue to discover what makes cancer so complex. A hundred cases of the same type of lung cancer could all behave differently because of vast differences at the molecular level. We drill down to figure out which differences make the cancer vulnerable and how we can target or exploit those vulnerabilities," says Suresh Ramalingam, Winship deputy director and lung cancer physician-investigator who anchors Winship's lung cancer team. Metastasis, or the spread of cancer to different parts of the body, is often the tipping point between a potentially curable cancer and one that may never be fully controlled. So scientists are determined to figure out how and why that happens. Cancer cell biologist Adam Marcus and his lab have sleuthed out some of the clues by focusing on the LKB1 gene, which regulates metabolism and how cells move. A particular change, or mutation, in the LKB1 gene shows up in 15 to 25 percent of non-small cell lung adenocarcinomas and that subgroup has a higher risk for metastasis. Winship scientists were among the first to figure out how an alteration in the LKB1 gene starts a process that opens up a pathway for cells to migrate and blocks the gene's ability to suppress metastasis. The Winship team was uniquely positioned to take the next step in figuring out vulnerabilities in the process that could be targeted. They worked with a molecule that inhibits a crucial part of the process and, after 12 years of lab bench research, the Winship team is ready to translate the discovery into clinical trials. "We will be the first to have a clinical trial designed for LKB1-mutant lung cancer patients," says Marcus. "This represents the culmination of years of teamwork." The LKB1 research is an example of collaborative science at its best. Melissa Gilbert-Ross, Wei Zhou, Jing Chen, and Haian Fu drew on their expertise in cell biology, genetics, and drug development to work together like a relay team, each using his or her expertise to take the science and advance it to the next stage. They teamed up with Ramalingam, medical oncologist Taofeek Owonikoko, and pathologist Gabriel Sica to take a multi-pronged approach to increase patient survival. "With its new comprehensive cancer center status, Winship is positioned to attract more funding and more top scientists, and that is what's needed to keep research like this moving forward," says Kimberly Kerstann, Winship's senior director for research administration, who oversaw the application process for the new NCI designation. Another Winship lab is looking at genes that control cell aging to see how that process might be used in cancer treatment. "The single biggest risk factor for cancer is aging—it's bigger than smoking, bigger than genetics, bigger than exposure to carcinogens," says radiation oncologist and researcher David Yu. "Accumulation of DNA damage during aging leads to mutations that contribute to cancer." Yu has been studying a gene from a class of proteins called silent information regulator 2, or Sir2. It's been dubbed the longevity gene because it regulates aging by protecting cell survival and aiding our body's ability to repair damaged DNA. An extra copy of the gene has even been shown to extend the lifespan of common brewer's yeast, fruit flies, worms, and mice. That's all good for healthy cells, but what about its effect on cancer cells that grow out of control? Cancer treatments like radiation therapy are meant to damage the DNA in cancer cells and halt unchecked cell division. Yu's lab looked at whether the SIRT2 gene (a more complex form of the Sir2 gene found in mammals) could be used in an inverse way to aid that process. They have been investigating a chemical that inhibits SIRT2 so that treatments targeting the DNA in cancer would be more effective. Yu says targets like this are examples of more personalized medicine. The lab of cell biologist Jing Chen has made a discovery that could influence what cancer patients eat. One of the first questions patients ask about in their treatment plans is whether there are things they can control, like diet. In Jing Chen's lab, researchers found that a high fat diet fueled the growth of a particular type of melanoma in mouse models. Now they are looking at whether a low-fat diet could slow the cancer's growth. Chen and his colleagues are proposing a clinical study to start next year that will examine the effects of diet and statins in patients with this type of melanoma. All three scientific discoveries are poised to take the next crucial step: clinical trials. 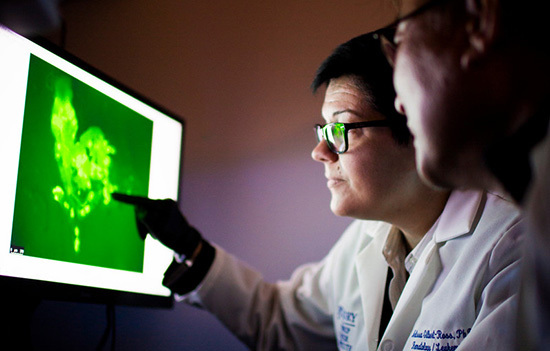 NCI-designated comprehensive cancer center status means Winship translates discoveries made in the lab into clinical trials that test new drugs and treatment regimens. Some trials blaze the path for new types of treatment, like immunotherapy; other trials test out ways to make current therapies more effective, or reduce treatment time, or prevent recurrence. Associate Director for Clinical Research and gastrointestinal cancer expert Bassel El-Rayes oversees clinical research for more than 250 trials at Winship. He says new cancer treatments take many years of development and testing before they become the standard of care. "If you are getting standard of care treatment today, you're getting the treatment of yesterday," says El-Rayes. "If you enroll in a clinical trial, you are actually getting the treatment that may be the standard of care 10 years from now. That's why considering clinical trials as part of your option to treat cancer is very important." Winship was among the first cancer centers to bring patients onto trials testing two new immunotherapy drugs, nivolumab and pembrolizumab, which have changed the lives of some advanced lung cancer and melanoma patients. "Winship took the lead in the transformative area of cancer immunotherapy and cancer immunology," says Curran. "Now we're investigating how to make these treatments effective for more patients and more types of cancer. Every month we open new trials of therapies that harness patients' immune systems to improve survival and tumor response." Some clinical trials look at improving current therapies, or making them easier for patients. A potentially practice-changing trial by Deborah Bruner, associate director for mentorship, education and training, contrasted outcomes between two types of radiation treatments for men with low-risk prostate cancer. The study showed little difference in survival and symptoms between standard radiation therapy and a regimen that delivered higher doses of radiation over a shorter time span. The alternative therapy took 13 fewer days and was less expensive and more convenient for patients, all factors that can improve a patient's quality of life. Winship investigators also pioneered a new way to prevent recurrence of cancers of the head and neck by using green tea combined with erlotinib, a drug that helps prevent reoccurrence of other types of cancers. A Phase 1 trial showed the combination was safe and could turn off the overactive pathways that led to cancer spread. The next step will be a larger national trial. "That's what a comprehensive cancer center does—discovers new ways to treat cancer and validates those in patients," El-Rayes says. In giving Winship the comprehensive cancer center designation, NCI reviewers looked at the collaborative work of researchers in Winship's Cancer Prevention and Control (CPC) Program. These scientists study the environments, lifestyles, and health problems of Georgians in order to find community-based actions that can reduce cancer risk, incidence, and deaths. Winship draws upon the expertise of 45 scientists from Emory's schools of medicine, nursing, and public health as well as researchers from the American Cancer Society, the Centers for Disease Control and Prevention, Georgia Tech, and other academic institutions. "We study preventing disease and whether patients throughout Georgia are receiving equitable quality of care," says cancer epidemiologist Tim Lash, leader of the CPC program. Community efforts range from working through churches to improve diets and prevent obesity in Southwest Georgia, to encouraging Atlanta households to become smoke-free. Michelle Kegler, Winship epidemiologist in the Rollins School of Public Health, saw that thousands of Georgians are exposed to second-hand smoke in their homes. Collaborating with the United Way of Greater Atlanta's 211 Call Center, she launched a program in 2013 that offered assistance to Georgians who wanted to make their homes smoke-free. An NCI grant enabled Kegler and colleagues to take the program into other states: ultimately, 2,300 households participated in the program and 60 percent of them went smoke-free. "The program protected lots of children from second-hand smoke and we know that decreases health problems. We also saw it help people quit smoking, so it definitely had an impact on families who participated," says Kegler. Sometimes doctors don't realize the language they use is not easily understood by patients and that's particularly critical in Georgia, which has one of the lowest literacy rates in the country. Winship researchers are developing ways to help patients better understand what they need to know about cancer and their treatment options. For example, researchers led by Viraj Master developed an animated video explaining terms used by doctors and staff in talking with men with prostate cancer. The video explains in simple terms what the diagnosis means and the risks and benefits of different treatment options. Rebecca Pentz, an expert in research ethics, has also targeted health literacy with tools to help patients understand chemotherapy terms and molecular testing. The fourth area that boosted Winship into comprehensive status was its outstanding track record of educating both the public and new cancer researchers, which can start at a very young age. When not in his lab, Adam Marcus is passionate about reaching out to school children in order to grow the next generation of scientists. Since 2012, he and other volunteers have visited more than 35 Georgia schools so students could examine specimens under a microscope and learn what scientists do and what it is like to pursue a career in science. Marcus and colleague Theresa Gillespie, an epidemiologist who studies cancer disparities, received a National Institutes of Health grant to reach out to K-12 students in urban and rural underserved areas, including girls and minorities who are under-represented in science, engineering, technology and math (STEM) fields. Another Winship program, Summer Scholars, attracts rising high school seniors and recent graduates who spend six weeks working in a Winship laboratory with some of the cancer center's premier investigators. 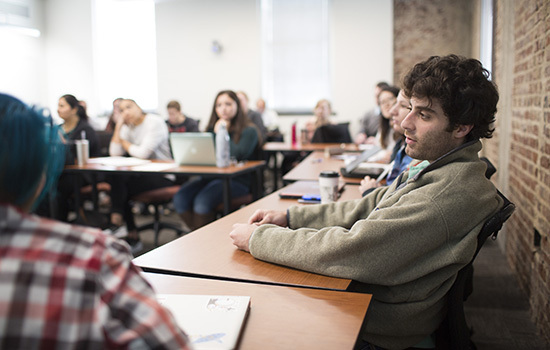 Winship faculty also play a critical role in the highest levels of education by teaching and mentoring students training to be doctors and researchers throughout Emory University. In earning comprehensive cancer center status, Winship showcased outstanding research across a spectrum, from prevention to treatment and education. Sagar Lonial, Winship chief medical officer and chair of the Department of Hematology and Medical Oncology, says one of Winship's greatest strengths is the comprehensive mindset of its people. "A comprehensive cancer center brings together lots of different people who work and think in lots of different ways under one tent." "We all learn from each other and bring the best we've got to our patients." Winship is changing the way cancer is prevented, diagnosed, and treated. That’s good news for Georgia, and the world. Learn what it means to be an NCI-Designated Comprehensive Cancer Center.